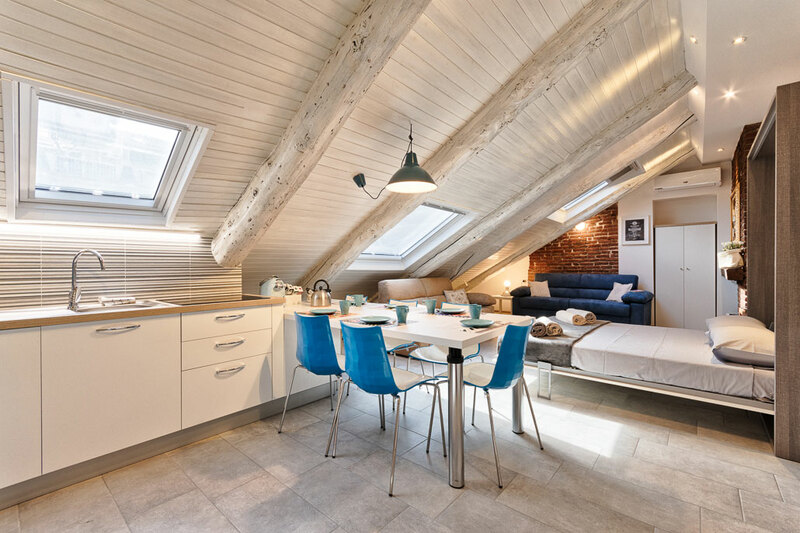 Recently refurbished, this attic is composed by two separated areas and it’s perfect for a long term stay. 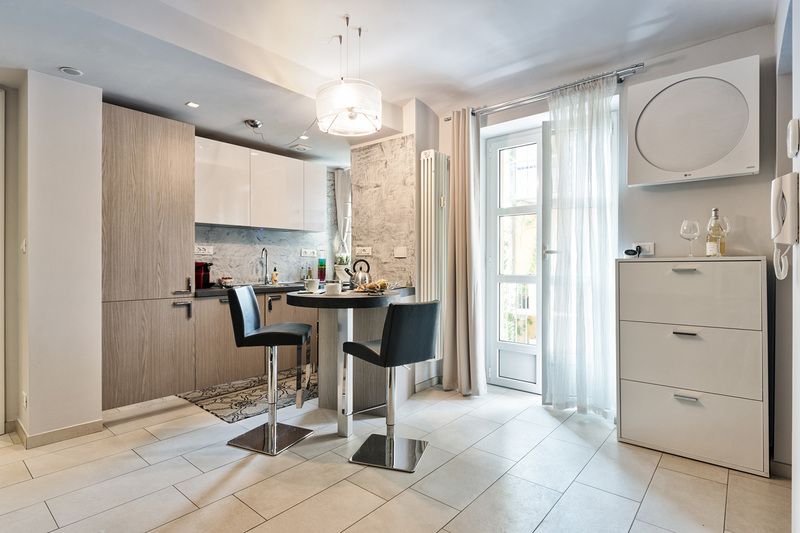 The kitchen, enlightened by a two-opening windows is the core of the apartment. The big peninsula table, with its tall chairs, is perfect for breakfasts and romantic dinners. 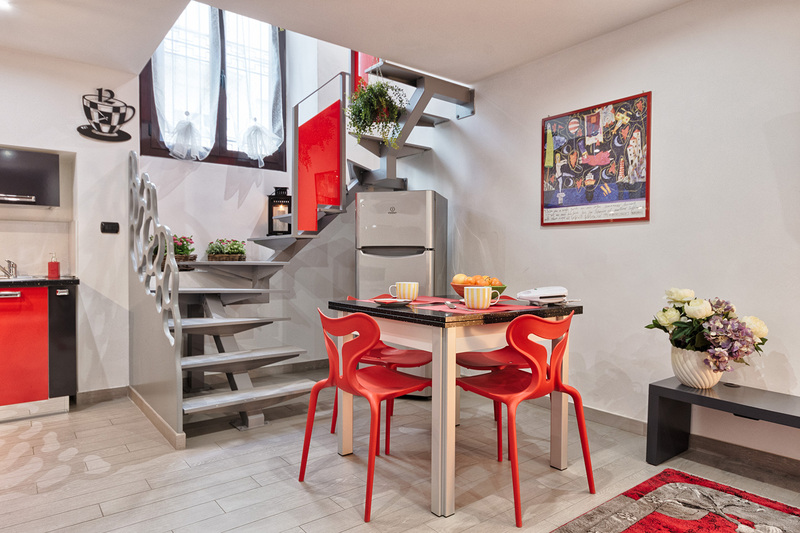 The attic is also completely furnished with a fridge, freezer, microwave oven, electric kettle and coffee machine with capsules. In the living room there is an armchair-bed ideal for a third guest. The wi-fi is included (at 20mb speed) which will easy let you download big files and streaming videos. The bedroom suits perfectly for two guests and eventually a cradle. The bathroom is fitted with a big shower cabin and contains shampoo, soap, hair dryer and big towels, all free to use. 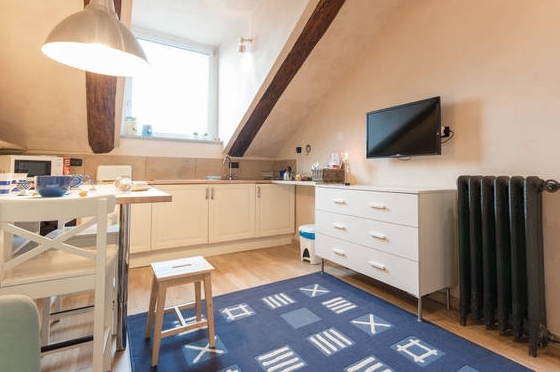 On the outside of the flat there is a small washing area fitted with washing machine, detergents, clotheshorse and iron with iron table. The apartment at the 4th and last floor is very quiet, ideal to rest undisturbed but also to study and work in a tranquil environment. There is a lift in case of need. 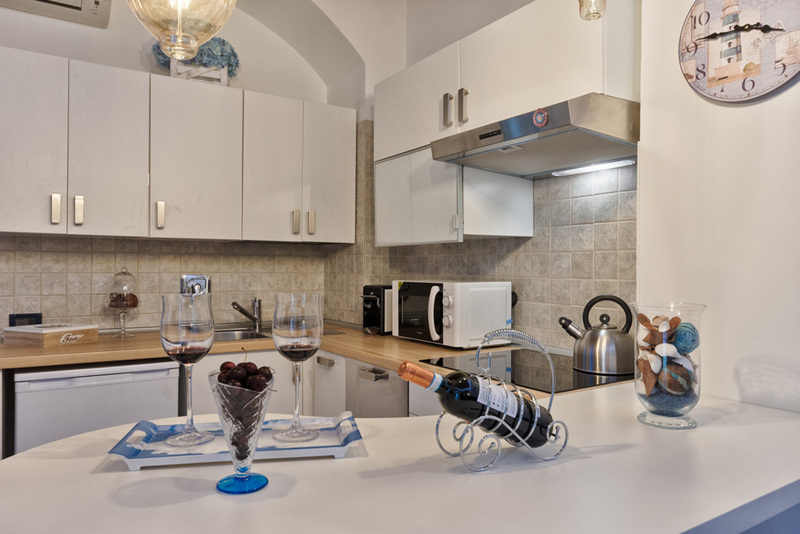 Located in the city centre at a walking distance from Porta Susa station the flat, surrounded by XVI century buildings, is in a market street which connects Piazza Statuto to Piazza Castello, areas full of shops, cafeterias and entertainment.